We’ve been supporting businesses and schools throughout East Anglia since 2006, when Netcentral was founded to provide technical services with our friendly, down to earth approach. As a small, owner-managed firm, we’re able to offer a high level of personal service unmatched by larger providers and we pride ourselves on an honest, transparent and effective service. We won’t bamboozle you with tech talk; instead we’ll explain in plain English – always offering various options, prices and our recommended resolution. The ultimate decision is yours. We work closely with our partners and really take the time to understand the products we recommend, so we’re able to discuss the full features and benefits. We will only specify solutions that we have proven experience of, tried and tested by our team. We’re a certified Microsoft Partner, able to offer advice and consultancy on the full range of Microsoft Solutions such as Office 365, Azure and Exchange Online. As a Fortinet Meru Authorized Partner for the region, we are able to design, install and support wireless networks around the Meru Networks product range. We also partner with Draytek and ESET. 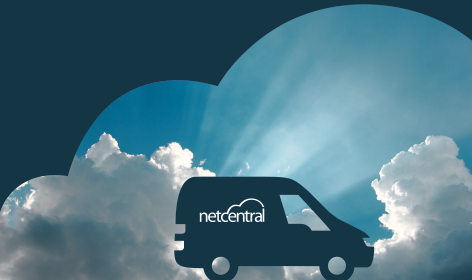 We’re a friendly bunch at Netcentral and although dedicated to all things IT we don’t just sit in a dark room building servers – we like conversations with our customers and really get to know how their business works to offer the best solutions. Honesty, transparency and excellent service are at the core of everything we do. We’re not here to sell you products you don’t need – we’d rather use the hardware and systems already in place wherever possible to make budgets go further. We listen to your individual requirements and the outcomes you want to achieve, then will work with you to achieve these. After all you know your business better than we do. Work is scheduled to suit your timings; if you’re a factory who needs to avoid downtime in production we can work around this. Our school technicians are experts in working with the minimal disruption to daily school life. Essentially, we love all the technical stuff so you don’t have to loathe it. We know our stuff but we’re more than that. We look at the bigger picture to make the most of customer’s individual needs – whatever they might be. From managed services and cloud solutions like Microsoft Office 365 to data back-up and disaster recovery as well as cost effective support agreements, we offer a full range of IT and cloud services. All delivered with a personal service we’ve built our reputation on. We’re on hand to help with a wide range issues – from cloud solutions, Microsoft Office 365, servers and networking, cabling, telephone systems, backup and disaster recovery, school broadband, interactive displays, hardware upgrades, mobile device management and strategic advice. We offer flexible support solutions, to suit your business or school – everything from ad-hoc support whenever you need it to regular school support visits from a dedicated engineer or a fully outsourced IT service. Just give us a call to discuss your individual requirements. The team covers East Anglia from our base in Norfolk – centrally located on the A11 in Wymondham and 10 minutes from the A47. We have Norfolk and Suffolk based engineers and for customers further afield we can manage sites across the UK with leading Remote Access Solutions. We’re specialists in linking together PC and Macs into the same system using proven software to ensure seamless integration – we can get them talking the same language! Our team is dedicated to supporting business and schools, so we can really get to grips with a problem and pride ourselves on building lasting partnerships with our customers and schools.